We will meet virtually for a total of 3 hours. 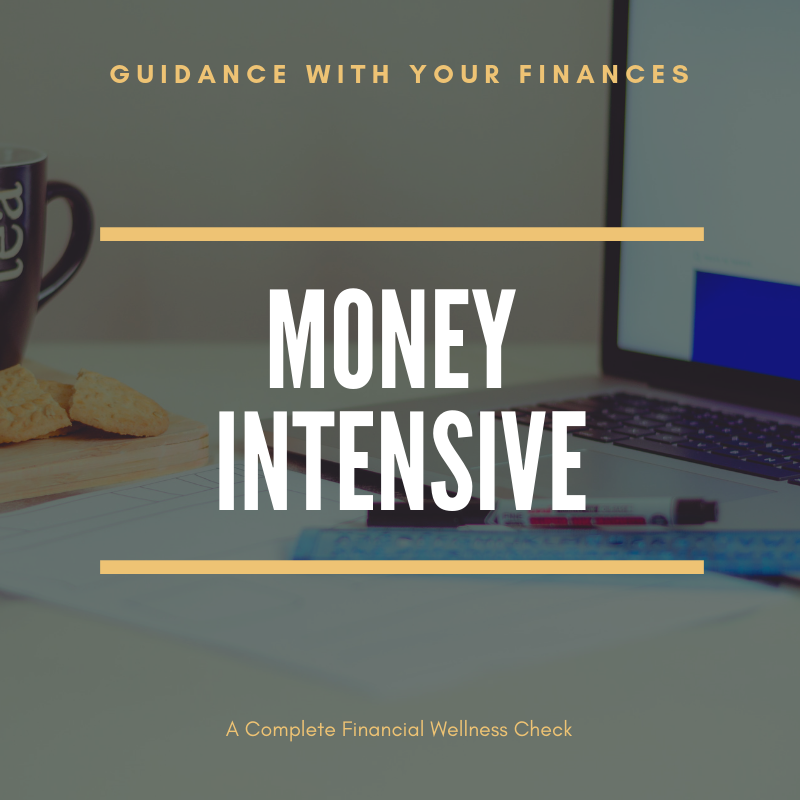 In that time frame we will go through financial goal setting, review your credit report, create a spending and savings plan, look for gaps in your financial products and services, and create a plan to address any pain points you are currently experiencing. Short answer...everyone!! Most of us could use a financial check-up from time-to-time. This program is particularly useful for new adults, those in transition, and anyone who wants to do a better job at their finances. When purchasing a service, we all want to know what we are getting for the money. Here is a summary of what you will receive after completing the Money Intensive program. We will take the time to get to know your personal financial goals and set realistic targets for achieving them. We will do a thorough review of your finances and determine your net worth and develop a personalized spending and savings plan. We will also review any pain points you are currently experiencing. You will end the program with a written summary of all of the information we reviewed as well as an action plan for achieving your financial goals! If you have more questions you can schedule a free consultation to see if this is a right fit for you.